I had a visit, about two weeks ago, by the cute Nana, the Unit manager at BeautyKa, and she’s in charge of SAMPAR products. At SAMPAR, they believe in the direct sales technique, they have beauty advisers who visit the ladies at their homes to give them all the information they need about the brand and to give them a demonstration with the adequate products to their type of skin. SAMPAR is a french dermocosmetic brand designed for the urban active, working woman who needs care, efficiency and luxury, and it has been available in Lebanon since 2 years at the major beauty salons. Pioneer of urban skin care, SAMPAR has an ambition: to awaken the sleeping beauty in every woman, uncovering and revealing her natural allure. SAMPAR is distinguished with its Urban advance formula for the city woman, it protects the skin from the pollution. Their packaging is really cute, light pink, white and silver, it calls you to try them, and it’s really easy to use. The SAMPAR collection is really wide and gives a solution for all types of skin. I have a Combination Skin, so she was sure to use the proper items for my type of skin. 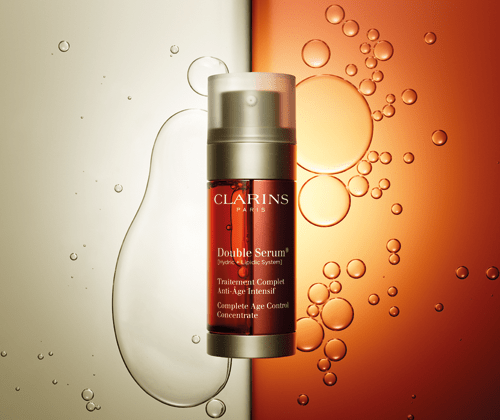 Fresh and feathery, Velvet Cleansing Milk gently lifts away traces of pollution and make-up from the skin and eye area. Equalizing Foam Peel gently exfoliates the epidermal layer, freeing the skin of deeply rooted pollutants and toxins. In 2 minutes, the skin is resurfaced and smoothed, exposing a complexion more luminous than ever before. For they eyes mask, she used the Splendid Eyes Elation, global anti aging gel for eye contour. This renewing treatment fades wrinkles, polishes and revamps facial features while eliminating dark circles and puffiness. For the face mask, she used the Clear Solution Mask, purifying and deeply cleansing mask for the combination and oily skin, it soaks up impurities and clarifies the skin without drying it out. And as I had blemishes, she used the Prodigal Pen, it’s so cute, and easy to use, you can keep it in your bag and use it up to 4 – 5 times per day. Then after the masks step, she used the Eye Rule, global anti-aging fluid for eye contour. Its sumptuous formula, enriched with regenerative active ingredients, paired with its innovative pen format provides the fragile eye contour with all the efficacy of a high-tech intervention. As for the day creme, she used the Barely There Moisture Fluid, mattifying and moisturizing face fluid for combination and oily skin. The silkiness of almond, the strength of stabilizing essences and the soothing benefits of horse chestnut provide your skin with a whisper of calm. The skin is hydrated and shine-free all day long. Then she used the 3 Day Weekend, moisturizing face care, tan activator and extender that gives the skin a breath of summer air. The neck is a part of the face, that women tend to forget, but SAMPAR has a special product for the bust and neck at the same time, the firming Lift Me Up Bust Cream. Acting as a natural bra, this luscious cream firms and tones to increase support in the bust area. At the end, she used the Glamour Shot for the face, it’s the 1st transparent foundation to be applied over your daily moisturizer. Watch unwanted shine, fines lines and wrinkles, pores, redness and blemishes fade away in just seconds. And for the eyes, she used the Glamour Shot Eyes, transparent under eye concealer. In 1 minute, this multi-action glamour revealer erases dark circles, brightens the dark areas around the eyes and blurs under-eye wrinkles and fine lines. 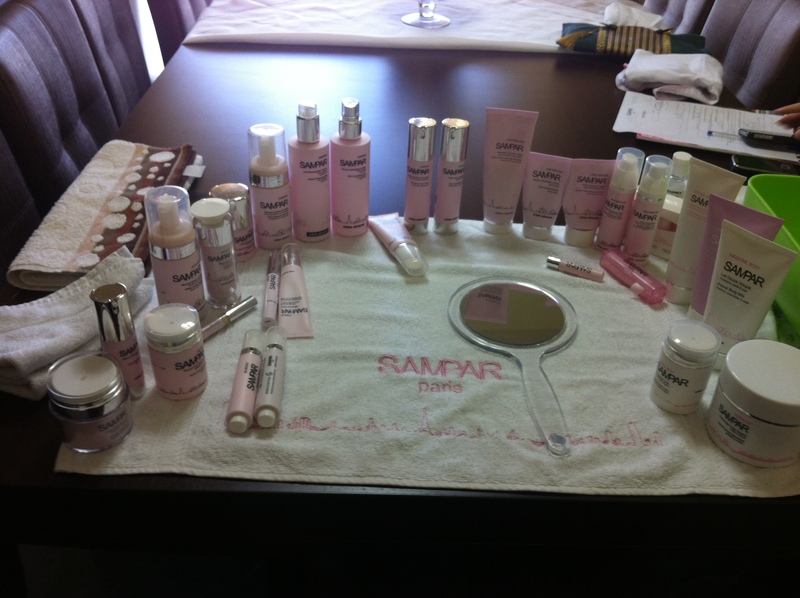 SAMPAR’s collection also includes body care products for exfoliating, firming, toning and moisturizing. I tried the Lap of Luxury Sea Scrub, exfoliating body scrub for all skin types. Lap of Luxury Sea Scrub treats your senses to an effervescent escapade, while infusing the body with a new found burst of energy and restoring your skin’s original silky softness. It was a great experience, and there was a lot to learn. My face’s skin felt so alive, as if it wasn’t breathing for a while, and the products were its wake up call! 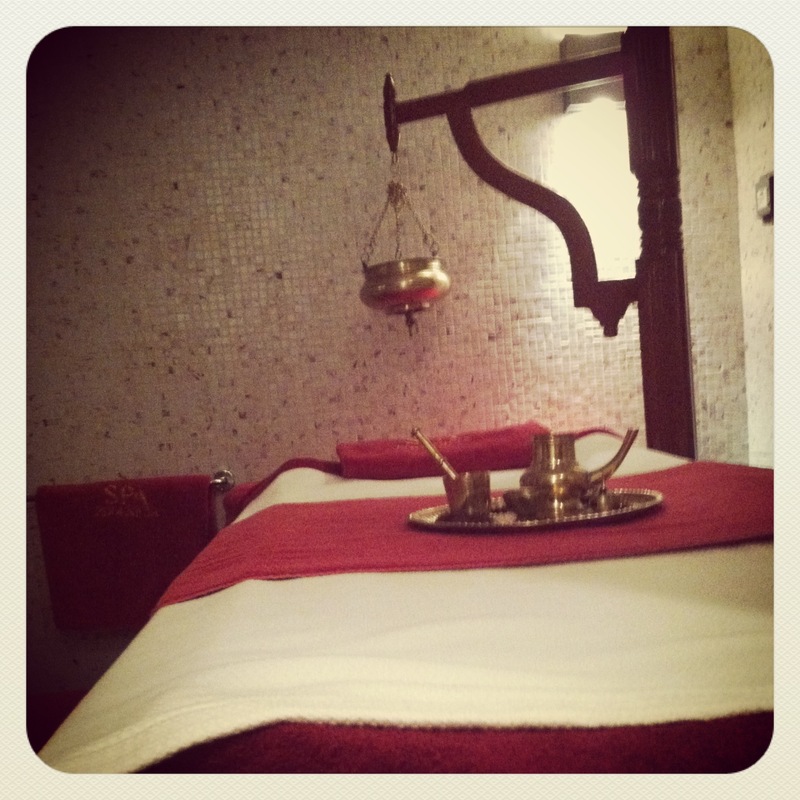 Pampering Time at Phoenicia Hotel! While checking in, there was beautiful bride taking pictures at different points across the hotel, the wedding was at Eau de Vie that was beautifully decorated in red and white! 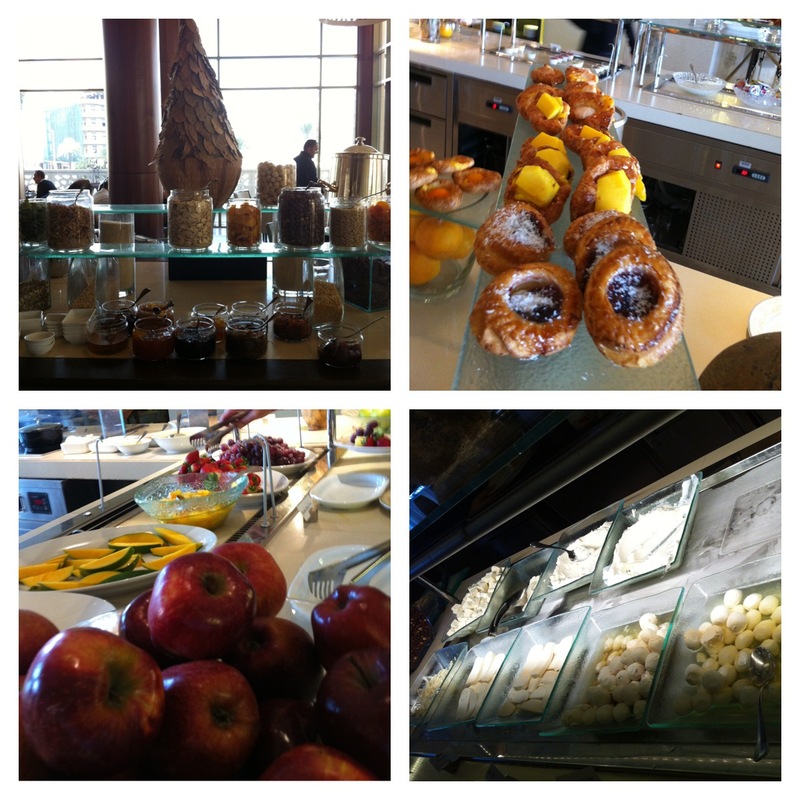 Thank you Phoenicia Hotel for the great service and relaxing time at your premises, it’s surely to be done again! 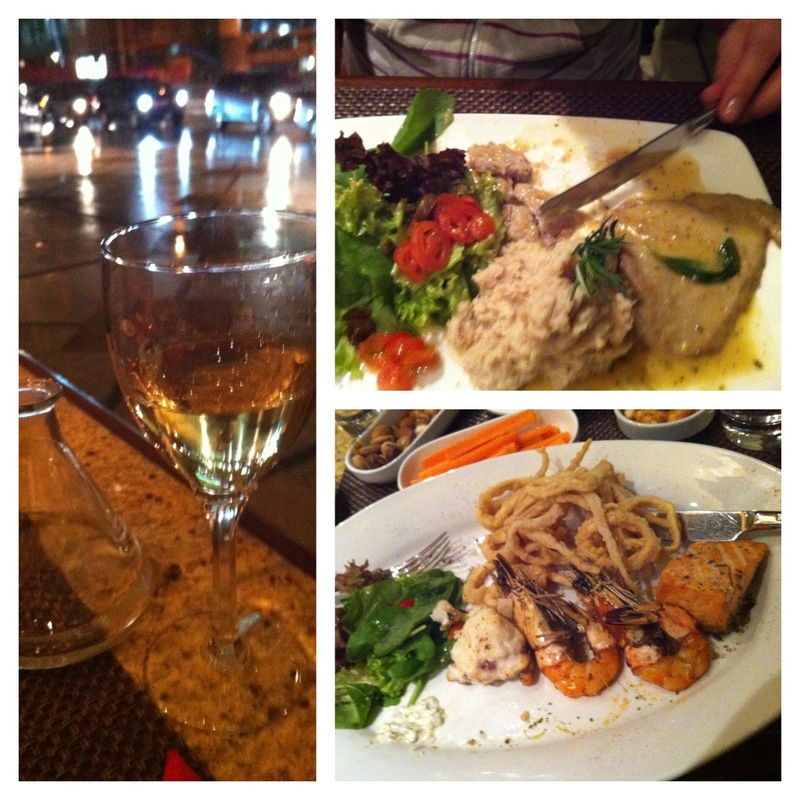 Show me how you KISS! “Show me how you KISS” is the Valentine competition by Tally Weijl! All you have to do is take a picture of yourself blowing a KISS on Instagram, put the hashtag #TALLYkisses and that’s it! And you can win a totally TALLY V-Day Kit! The competition started on February 1st and it’s still ON till February 13th, you still have two days to take part! The all New best ever PANTENE deeply nourishes your hair, maintaining its protein and preserving its natural strength from the core. The all New best ever PANTENE is designed to fix damaged areas of your hair and prevent the core from losing its proteins, keeping your hair healthy and strong. The PANTENE milky damage repair collection has milky lotion combined with Pro-V science which locks in moisture from root to tip to help repair damage leaving hair nourished. 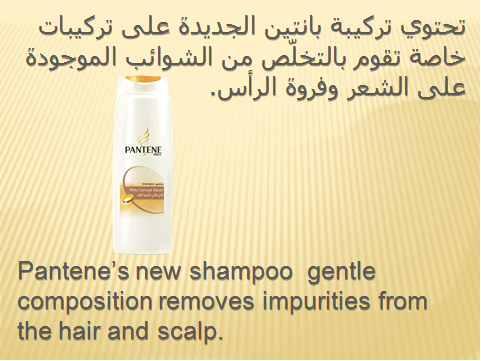 The PANTENE treatment starts first with the shampoo, it moisturizes and helps repair dry/damaged hair. The all New PANTENE regimen is crowned by the Oil Replacement collection, which offers intensive repair for deeply damaged hair giving you Hair so Healthy it Shines! 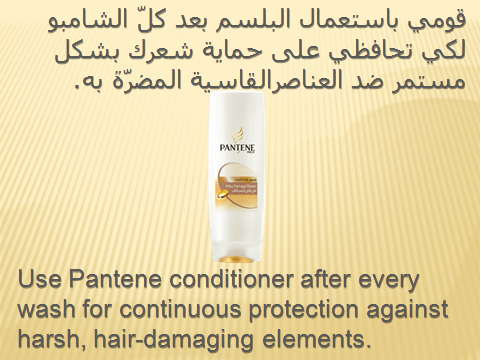 – Protects against styling and blow drying damage. 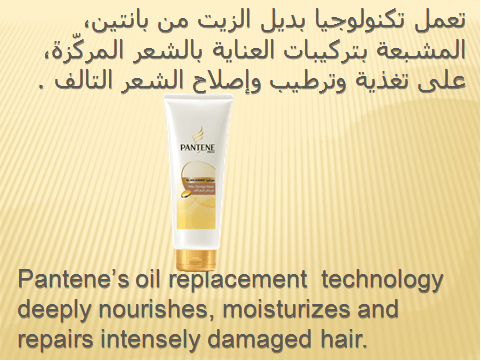 Apply Oil Replacement after using PANTENE’s shampoo and conditioner, spread the amount desired on your hands and apply on wet hair starting from the tips continuing along the length. No need to rinse it off. But I rinse it, because I don’t like to keep anything on my hair. With age, women get more and more concerned with their wrinkles. 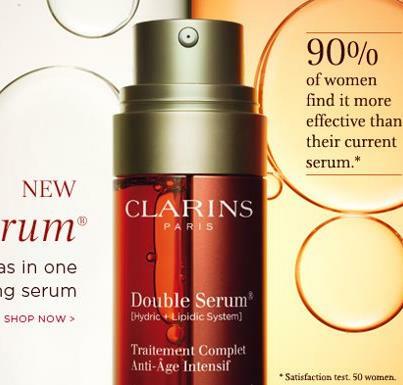 After 27 years of plant science expertise, Clarins was enabled to create the only age control treatment which revitalize skin‘s five anti–ageing functions. The NEW complete age control concentrate, is more than just a serum, this is the only intensive anti-ageing treatment rich in 20 plant extracts that boosts the skin’s vital functions. – and pores are less visible. 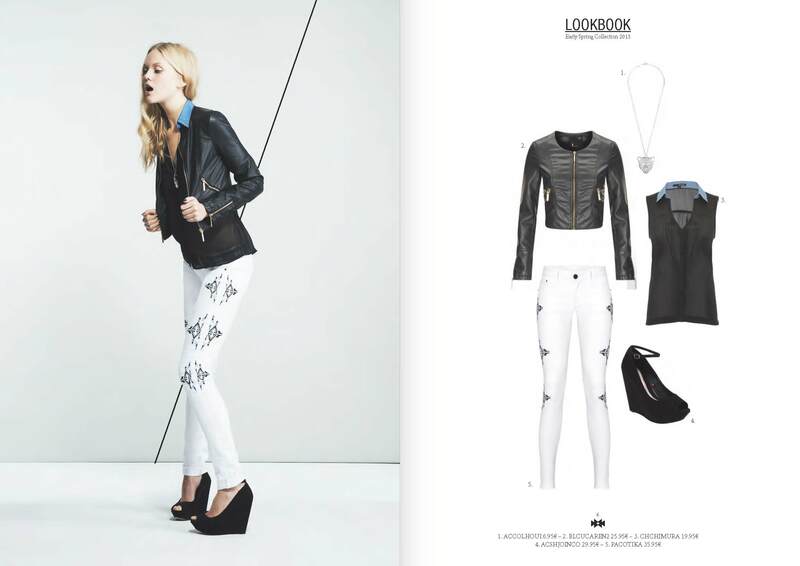 TALLY WEIJL reveals its early Spring collection 2013! This season a cool breeze blows over the collection with a blast from the past in 90’s hip-hop style. Sportswear is a must for the Tally Weijl girl who gets inspired by urban style by matching comic sweaters to leather effect and patented skirts. She pairs wedge sneakers with dip dye and destroyed denim for a totally look-at-me style and lets jewels, studs and eyelets electrify her outfits. Our It Girl, is an urban chameleon playing with multiple styles: from Aztec dresses, tribal embroideries and geometric prints on pants, to a mysterious style wearing tops with spiritual symbols. Can’t wait for the Spring to try the new collection, how about you? Among their art events, #ARTSTAY had a tribute to David LaChapelle at Dictateur pub, to get us more familiar with this world artist. 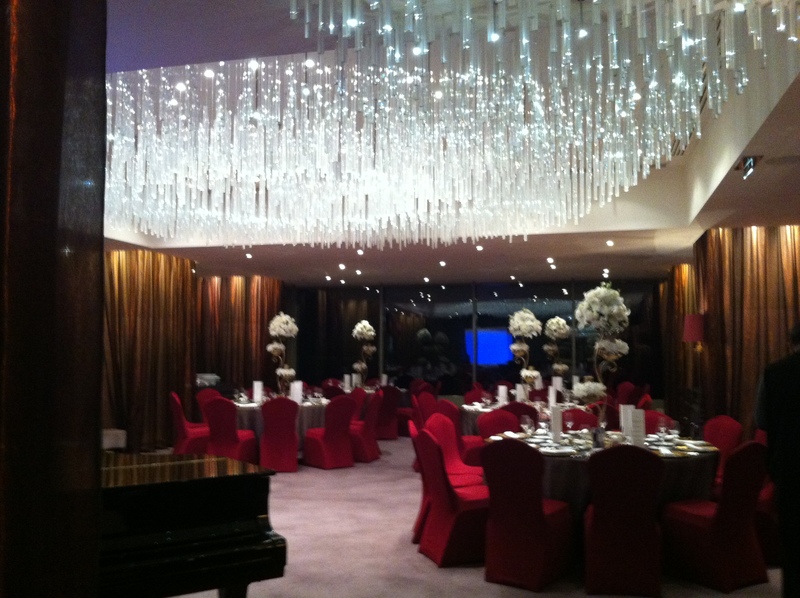 The aim of each event by #ARTSTAY is to familiarize the local creative community with the skills and the arts knowledge of international art directors. 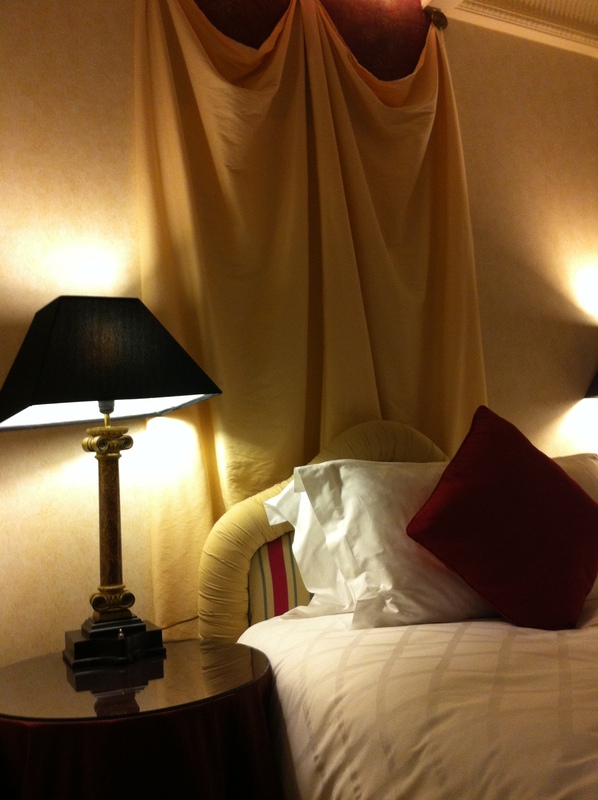 The art directors’ work is promoted through short bios on the website, as well as a display of the work at the event. This allows local creative professionals and amateurs get familiar with their talent & style. 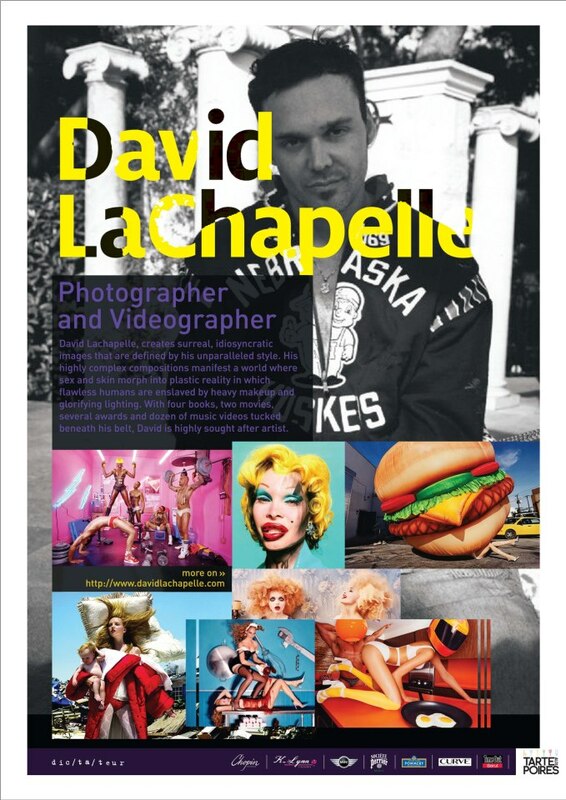 At the most recent event David LaChapelle was the featured artist. He is known internationally for his exceptional talent in combining a unique hyper-realistic aesthetic with profound social messages. The artwork that was re-created comprised of many bras, which were donated by K-Lynn lingerie. K-Lynn is a specialist lingerie boutique in Lebanon, UAE, Jordan and Kuwait. Stocking exclusive brands of lingerie including Spanx, Wacoal, Chantelle and Simone Pérèle amongst others, K-Lynn also retails sleepwear.